In 2017 Telco’s will leave millions on the table by not claiming affiliate revenues that have been assigned to them by OTT video providers. It’s well understood that the leading OTT video providers such as Google Play, iTunes, Amazon Instant Video, Netflix etc. are generating millions by delivering their video content over Telco’s fixed and wireless networks. 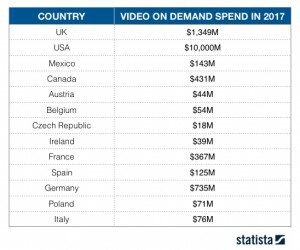 The table below courtesy of Statista provide a flavour of the size of revenues that will be generated by VoD providers across various markets in 2017. 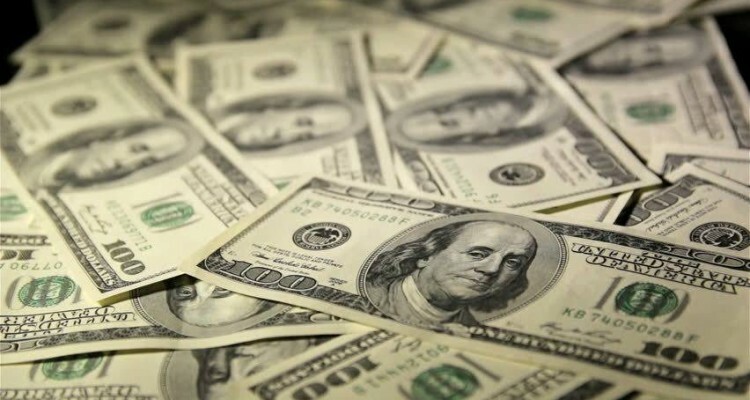 What’s not so well understood is that many of the leading OTT Video providers have Affiliate Programs in place specifically designed to provide a revenue share on content rented or sold on their behalf. Apple for eg. pay 7% on all movies rented and purchased with a credit or debit card on iTunes, and all the Telco has to do is claim it. By not claiming these affiliate revenues Telco’s are; depending on the size of the market ignoring sometimes millions in revenue that’s rightfully their’s. How exactly can Telco’s claim this revenue? At Vennetics we work closely with Telco’s to enable them better monetise the OTT video traffic on their networks. Our Mobile Video Platform is integrated with the leading OTT video providers and their affiliate programs. The Platform enables users to perform a universal search for video content across all the leading online video content providers in their market from S-VoD, T-VoD to IPTV playback services. It uniquely curates the video content across multiple service providers into one easy to use app. If you’re an internet provider and want to claim significant revenue that has been earmarked for you by OTT Video providers please contact Vennetics today and we can show you just how easy it is.